Superdry women’s Callie twist back top. A twist on the classic, the Breton top features a cheeky twist detail on the back, making this a must-have for your wardrobe this season. 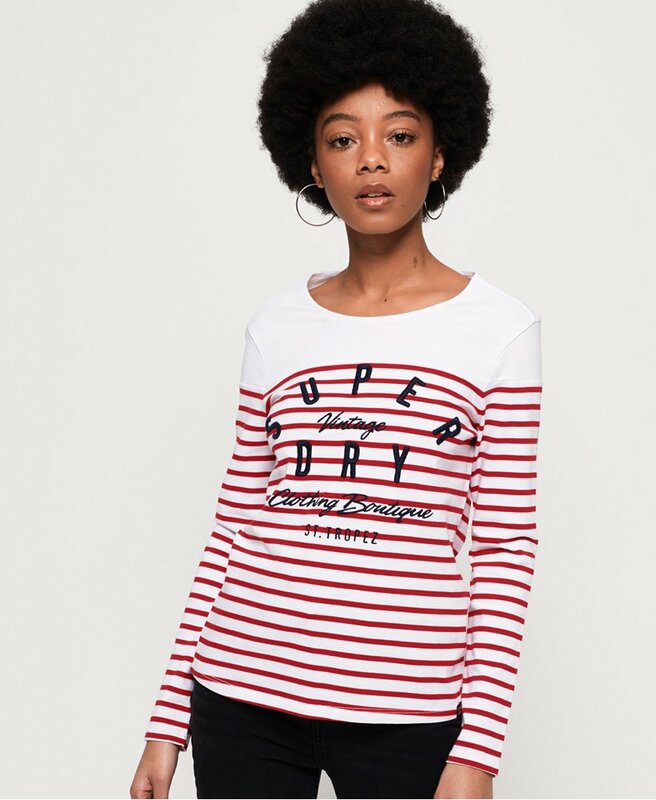 In addition, this long sleeve top also has a Superdry logo embroidered across the front and a subtle Superdry tab on the hem for the finishing touch. This top is a great staple item, pair it with jeans and trainers or ballet shoes for a comfortable everyday outfit.